What are orbs? Paranormal enthusiasts notice two different types of orbs: those seen by the naked eye, and those captured on camera. Whether either of these are evidence of spirit orbs is a hotly debated topic in the paranormal field. There are several theories within the paranormal community about orbs and their meanings. Paranormal investigators are cautious about orb photos but don't always discount them as being caused by dust, bugs, or photographic artifacts. Paranormal believers theorize orbs represent the energy patterns of ghosts or entities. This theory contends each spirit orb can contain the energy of one or more entities. The ghost orbs are believed to manifest as glowing spheres of gold, green, blue, or crimson. Conclusions are then drawn in regard to the size and color of the orbs and what each color represents or means. Another school of thought is explained in Debi Chesnut's book, Is Your House Haunted: Poltergeists, Ghosts or Bad Wiring. 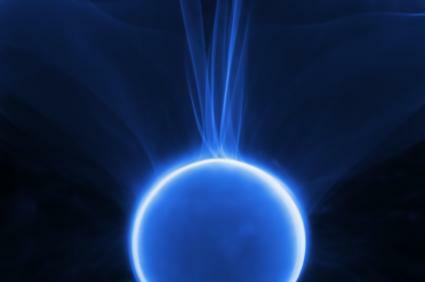 This theory states orbs are visible representations of angels. Chesnut points out some spirit orbs contain a pattern like a spiderweb, and a few even contain faces. Believers of this viewpoint cite the predominance of photo orbs taken during special family gatherings, worship services, at spiritual places, of victims later saved from accidents, and of people who are critically ill. Wedding photos often reveal orbs hovering over a bride, groom, or a newborn. However, if you ask Orb Zone Theorists, these orbs are simply dust particles reflecting light. Those who believe in the supernatural argue the orbs are guardian angels protecting and blessing their wards. Yet another theory proposes orbs depict spirit guides. Many ancient traditions teach spirit guides are beings that have evolved beyond the need to incarnate. The higher self chooses a guide to help you through life. Spirit guides provide comfort, advice, and direction to individuals, all in keeping with one's higher purpose. Guides appear in such disparate traditions as Gnostic Christianity, Native American spirituality, and Eastern religions. Believers in the spirit guide theory of orb activity hope the many orbs photographed around people represent their spirit guides. Guides rarely appear in corporeal form, choosing instead to communicate through meditation and dreams. People who believe the spirit guide theory of orbs hope they have somehow glimpsed and recorded their unique guide using modern technology. Orbs captured on film arouse curiosity in even the most hardened skeptic. Some believers of the paranormal study ghost orbs for clues about their origin. While many dismiss these orbs as nothing more than pollen, dust, or moisture captured the instant the investigator snapped a picture, others aren't so sure. Still and video cameras are commonly used in paranormal investigation. While most of these are digital cameras, some investigators are still old school, using film and instant film cameras. Paranormal investigators commonly use digital cameras in the hope of snapping a photo of an apparition or ghost. Orbs often show up in these photos. In fact, the number and variety of orbs investigators have captured in photos has increased significantly since the introduction of digital cameras. While orbs did appear on traditional film photos, the plethora of orbs captured by digital cameras is noteworthy and has caused many to conclude the orbs are an artifact of digital photography. The Association for the Scientific Study of Anomalous Phenomena (ASSAP) has examined this phenomena thoroughly and proposes Orb Zone Theory (OZT) to explain why orbs are so commonly captured on camera. The theory relies on a common photographic artifact called a circle of confusion. Circles of confusion are essentially highlights that are out of focus in the image, causing an orb. The orb is created when the camera's lens is out of focus and the object(s) appear to overlap in circles of light. FujiFilm explains, "The circle of confusion refers to the measurement of a point of light that falls on the focal plane (camera sensor)." When the focal plane lines up with the focal point, the photo subject comes into focus. The FujiFilm website states, "It's this point where the light converges the Circle of Confusion can then be measured." Circle of confusion created orbs are often gray or white and translucent, although some can be opaque depending on lighting. Researchers discovered dust, bugs, and other particles can create this illusion, as well. Since this type of orb isn't necessarily noticeable at the time a photograph is taken, many paranormal enthusiasts immediately believe the orbs are spirits captured in a moment of time. However, scientists have recreated the same effect by blowing dust particles into areas they photographed, suggesting dust is, indeed, a common culprit when orbs appear in photos. Orbs are captured not just in still photos, but in actual videos. These are often dismissed as nothing more than insects out of focus or dust stirred up by individuals or air currents/breezes. Some investigators' rule of thumb is, if you didn't see it at the time you were shooting the video, the orbs are most likely explainable and aren't paranormal or supernatural in origin. Others contend real orbs generate their own light within the orb itself, so glowing orbs may indicate the presence of a spirit. Dedicated ghost hunters and paranormal investigators approach orbs differently than some paranormal believers. Using their protocols can be helpful in evaluating any orbs you have noticed. If you notice an orb in a photo, consider the following. Study each picture and dismiss any questionable anomalies, such as those that may be a result of lens flare, dust, insects, or circle of confusion artifacts. Even if photos appear to represent orbs, don't use orbs alone to substantiate claims of paranormal activity. Instead, look for other evidence that occurred at the same time the orb was photographed, such as abnormal EMF readings, electronic voice phenomena, or personal experiences, such as sightings of an apparition, disembodied voices, or unusual physical sensations. Investigators use photos of orbs as possible paranormal activity but don't typically use these as supporting evidence of a haunting. Are Orbs Seen With the Naked Eye Supernatural? Some people have witnessed what appear to be intelligent and reactionary energy orbs that move about either inside or outside a home or building. This type of orb is more difficult to explain away as simply an out of focus insect or light reflecting dust particles since they're seen by the naked eye. If you cannot find a logical explanation for these orbs, such as ignus fatuus (also known as will-o-the-wisp, which is a glowing light caused by gas combustion from organic matter) or lightning bugs, then there may be a paranormal explanation. As ghost hunter and author Troy Taylor notes, there is a distinct difference in an orb and glowing lights seen with the naked eye or on camera. In his book, Ghosts on Film, he discusses how he and other researchers photographed glowing lights. He writes, "Were they ghosts? I don't know but I can say that I believe the lights were paranormal in origin --- unlike 'orbs'." As photography improves and paranormal researchers use new techniques and equipment, investigators may yet definitively answer the question, "What are orbs?" Until then, it's amusing to entertain one or more of the many theories that abound around orb activity. Who's to say which theory is right or wrong?